Today was a simple day for meals and that was about it. We were waaay too busy to be able to make it to the gym. But, we did have a couple of tasty meals. For breakfast we had some chocolates steel cut oatmeal. 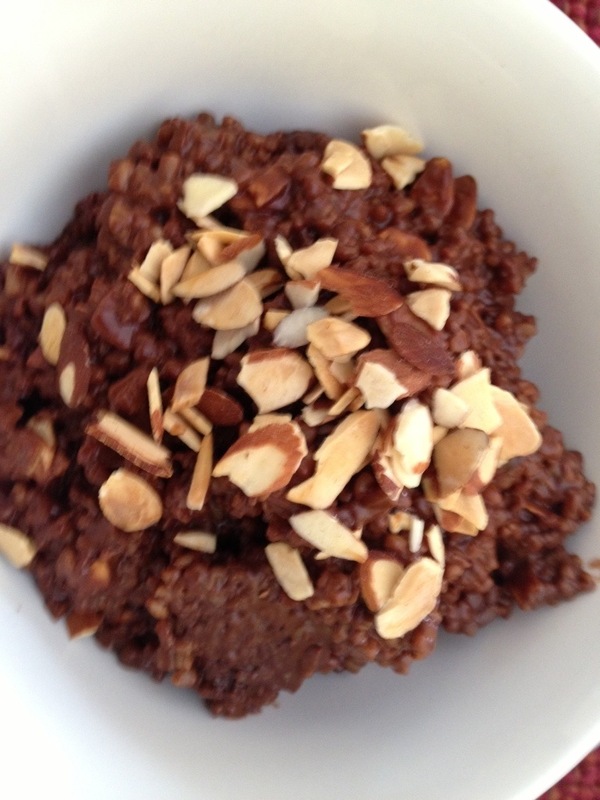 All my wife did was add unsweetened chocolate powder to the oatmeal and cooked it that way. We added sliced almonds on top, some raw brown sugar and a bit of almond milk. It was a nice change of pace, took care of that chocolate craving and also was filling. We had to go out of town this morning so we had Jimmy John’s for lunch. They have a great veggie sandwich…to be vegan we just ordered it without cheese and mayo. We also had it on whole wheat bread. Makes for a great lunch. 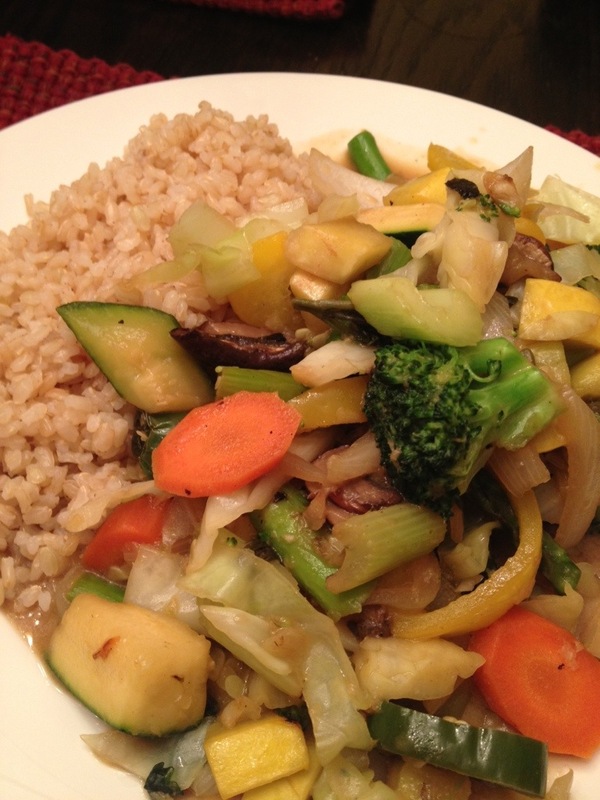 This evening Julianne threw together a vegetable packed Thai stir fry. She used Green Curry mix and some coconut milk (so it wasn’t fat free) for the sauce. Al of this was on top of brown rice. Fr the veggies she included some cabbage, asparagus, carrots, onions, garlic, celery, yellow squash, zucchini, mushrooms, yellow peppers and jalapeños. It was out of this world tasty and very filling. Honestly, eating vegan is not bad at all., especially when meals are prepared well. It is time consuming due to preparation. But, the favors are robust and savory and it is always fresh!! I appreciate my sweet wife and all of her strenuous efforts to keep us eating healthy and losing weight. I could never do it without her…at least not for an extended period.